No one likes being bamboozled by the latest, greatest infomercial fitness products promising to whittle your middle and give you a celebrity body with just six easy payments of $39.99. Let’s be real: Nobody needs a Shake Weight or an Ab Belt. If you’re serious about getting in shape from the comfort of your own home, choose multipurpose products that are time-tested and affordable. It doesn’t take much to get in shape, as long as you commit to doing it. Just a couple of pieces of equipment from the following list can help get you started on your own home workout plan, and they might end up being all you need to succeed in losing weight and sculpting the body you desire. If you haven’t picked up a jump rope since grade school, you’re in for a surprise. 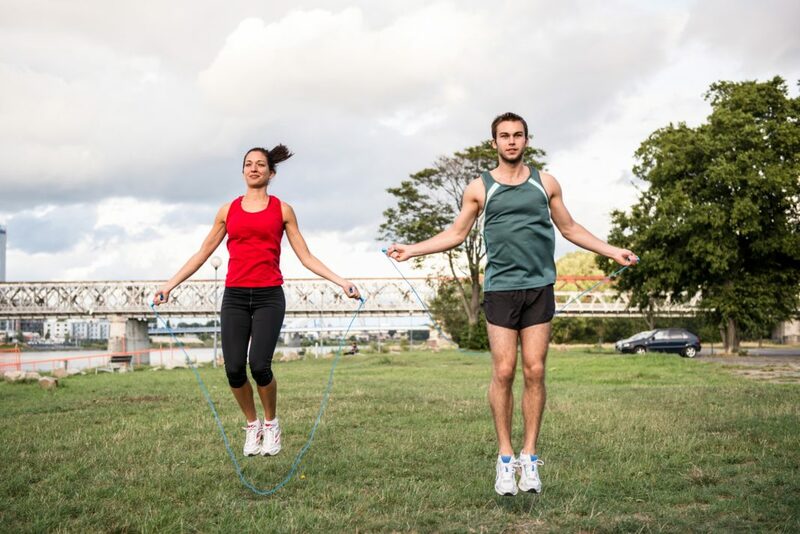 Jump ropes generally cost less than $20 and they deliver a killer cardio workout you can do practically anywhere. Just don’t expect to knock out a 30-minute routine right off the bat – jumping rope is tough work, so use yours for interval training, switching back and forth between a minute of jumping and a minute of rest. The beauty of the workout bench is that you can use it for standard exercises, such as a dumbbell chest press, or you can use it in place of a plyometric box – a raised, sturdy platform ranging in height from 6 to 42 inches – for step-up and jumping exercises. The classic step aerobic tool, The Step, is another good option, enabling you to use it as a bench, a low plyometric box, or, of course, a tool for step aerobics. 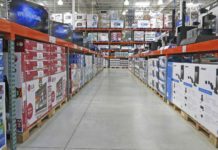 Either piece of equipment is going to set you back between $45 and $90, so you need to decide which one is best for you. If you tend to focus on strength training, you’re more likely to benefit from a bench, while those who prefer doing exercise videos may prefer The Step. BOSU stands for “both sides up,” and this odd-looking half-stability ball delivers a killer workout that challenges your balance, core, and strength. For a cardio workout, set it on the floor with the ball side up, and use it like a step. For a strength and stability routine, flip it over and use the flat side as a platform for lunges, squats, and pushups. You may have to do some searching online to get a deal on a BOSU Ball, but you can usually pick one up for around $100. Stability balls became popular in the late 1990s, and there’s no sign that they’re going to fall out of fashion any time soon. These large, inflated balls range in size from 45 to 75 centimeters in diameter and are designed to support the weight of most adults. While best known as a tool for ab exercises, you can achieve a total body workout using nothing but a ball. Balance your shins on the ball as you do a set of pushups or place the ball between your back and a wall to make wall squats harder. You can even use the ball like a bench by lying back on it and using your feet for stability. From this position you can do everything from dumbbell chest presses to triceps extensions. Fitness balls range in price from about $18 to $70, so look for a high-quality, mid-range ball appropriately sized for your height. While I wouldn’t suggest you spend a huge amount of money on a full set of medicine balls, go ahead and buy one or two of them. These weighted balls are about the size of a soccer ball or basketball, but range in weight from 2 to 30 pounds. They’re easy to grip, making them great for adding weight to ab exercises. They’re also fantastic for building upper-body power: Every time you throw a weighted ball against a wall or back-and-forth with a partner, your arms mimic the mechanics of jumping, and the explosive movement increases strength. 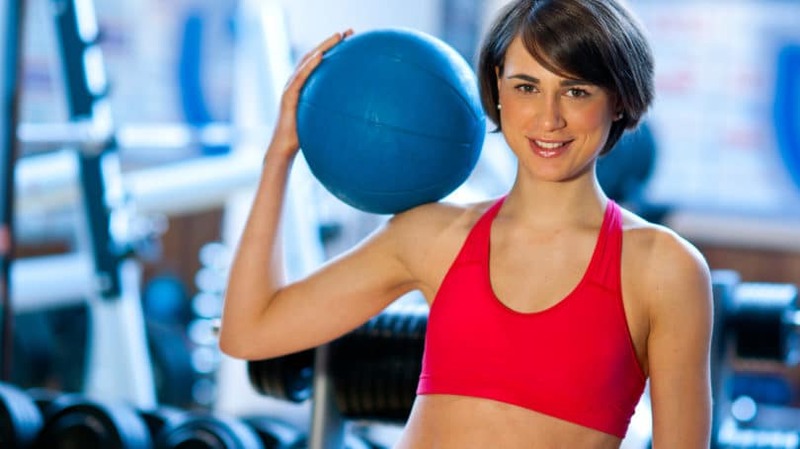 Start with medicine balls between four and eight pounds and expect to spend between $20 and $45 per ball at these weight increments. There’s a reason dumbbells are staples at gyms around the world: they work. They’re easy to incorporate into practically any exercise, and when used appropriately, they help build total body strength. Dumbbell pricing varies greatly by brand, style, and weight, so shop around and test out a few brands before buying. It’s a good idea to start with at least three to five sets of dumbbells varying in weight from 5 to 30 pounds. Expect to spend between $1 and $4 per pound, so a single 10-pound dumbbell might cost between $10 and $40. Kettlebells have been around for hundreds of years, and recently resurfaced as a trendy workout tool. Kettlebells feature a bell-shaped lower half topped by a handle. The genius of its design is in its uneven distribution of weight – the bell weighs more than the handle, so as you lift, press, and swing the kettlebell, your body constantly adjusts to the changing pull of gravity. Like dumbbells and medicine balls, kettlebells enable you to increase the weight you lift during exercises like squats, lunges, and shoulder presses, but they also provide you with a powerful cardiovascular workout when used to perform swinging exercises. Like the other weighted tools on this list, kettlebell pricing varies by weight, but you can expect to spend between $1 and $3 per pound. Start in the mid-range and pick up a couple of kettlebells between 12 and 30 pounds. When you’re on a budget, resistance bands are the way to go. They are lightweight, flexible, and easy to store away. They allow you to increase the resistance of practically any exercise, whether it’s a lateral slide, a biceps curl, or a seated row. Resistance bands are also excellent tools if you’re in rehab or just starting a weight training program. You can get a full workout in using nothing but the bands. Grab light, medium, and heavy resistances for about $30. Work out your post-exercise kinks with a lightweight, portable foam roller. Known as tools for self-massage, foam rollers are also great for stretching exercises and balance training moves. Just try doing a lunge with one foot on a roller – it’s tough. Look for rollers made of EVA foam to prevent warping. Typically you can find them for under $30. 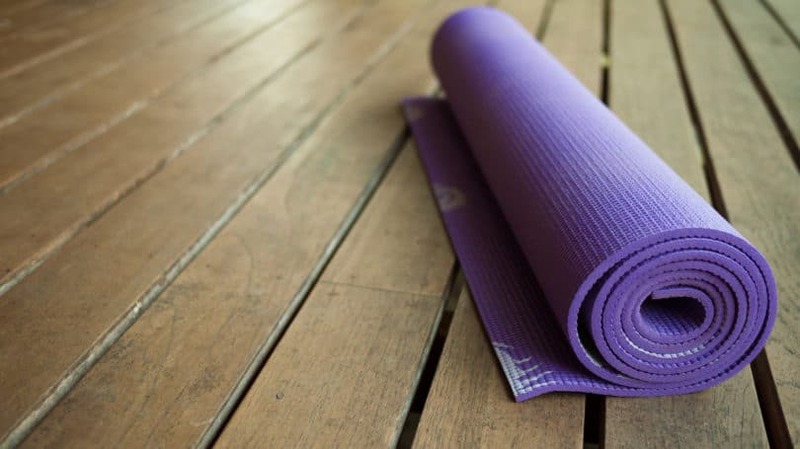 Granted, a yoga mat isn’t a fitness tool like the rest of the items on this list, but it’s still an important purchase. For under $40 you can pick up a high-quality mat to provide cushioning as you perform yoga, stretching, or ab exercises. Mats are also great for taking your workout outside, enabling you to do pushups, planks, and lunges without worrying about sticks or stones. Think back to elementary physical education class – could you have done anything without a set of cones? With nothing but five or six cones, you can set up a million different drills. Line five cones up in equal distances across a 90-foot field and perform “suicides” by running to the closest cone, then back to start, the next cone, and back, and so forth until you’ve run back and forth between each one. Set cones up in a square formation and practice sliding laterally, running forward, and backpedaling as you move around the square. The possibilities are endless, and because you can pick up a whole set for under $10, they’re a must-have for your home workout arsenal. One of the hardest muscle groups to work at home is your lats, one of the largest muscle groups of your back. Think about it – it’s easy to exercise your legs with lunges and squats, your chest with pushups, your arms with any number of biceps, triceps, and shoulder exercises, but what about your back? Sure, you can do rows with your dumbbells, but it’s tough to mimic the movement of a pullup or a lat pull-down at home. Buying a pullup bar is one option, but I’m inclined to go the route of the suspension trainer. These straps can be hung from the ceiling, wall, or door, and are adjustable, enabling you to perform assisted or unassisted pullups with the added element of instability. Plus, they’re not just great for your back, you can use them for a full-body routine as you pull, push, and press yourself through a series of movements. Look for a set of suspension straps for $90 or less. A home gym doesn’t need to cost a fortune. With just a couple of dumbbells, a suspension trainer, a set of cones, and a jump rope, you can get an awesome workout for less than $150. What you really need is motivation – all the equipment in the world won’t do you any good if you don’t use it. If motivation is what you lack, save up and splurge on a month of sessions with a trainer. A trainer holds you accountable for your workouts, teaches you proper form, and shows you how to design your own training programs. Once you get on track, wean yourself off the trainer and get to work on your own. What’s your favorite piece of home workout equipment?